Research into the ancient Near East has uncovered much lost information about the history and annals of the lands of the Bible. The languages of ancient nations -- Akkadian, Egyptian, Hittite, Hurrian, Canaanite, Ugaritic -- have been retrieved, along with their writing systems, making ancient archives accessible once again. These vast treasuries of documents and texts cast a clear light on many persons and events that are relevant to the Bible. To these we can add the finds of archaeological excavations, some of which make major contributions to our knowledge of the biblical age. 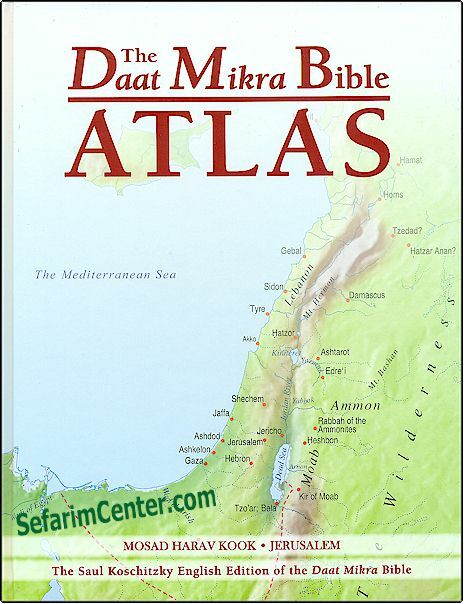 A serious effort has been made in the Daat Mikra Bible Atlas to describe the sites and historical settings of the events recounted by the Bible. The Atlas presents readers with the events of the biblical age, a clear map of the geographical background for each biblical episode, and a short text explicating the circumstances. The sequence of events, together with the maps and explanatory texts, creates a synopsis of biblical history.